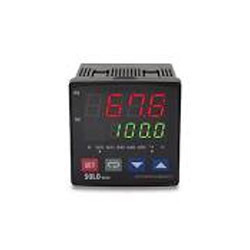 Our range of products include temperature controller. Keeping in mind the ever-evolving requirements of our prestigious clients, we are offering an exclusive range of Temperature Controller. The provided controller is highly demanded among our clients for its long service life and less maintenance cost. This controller can be availed by our clients at affordable price. Our offered controller is precisely manufactured using premium grade factor inputs and high-end technology in adherence to the set industry standards.